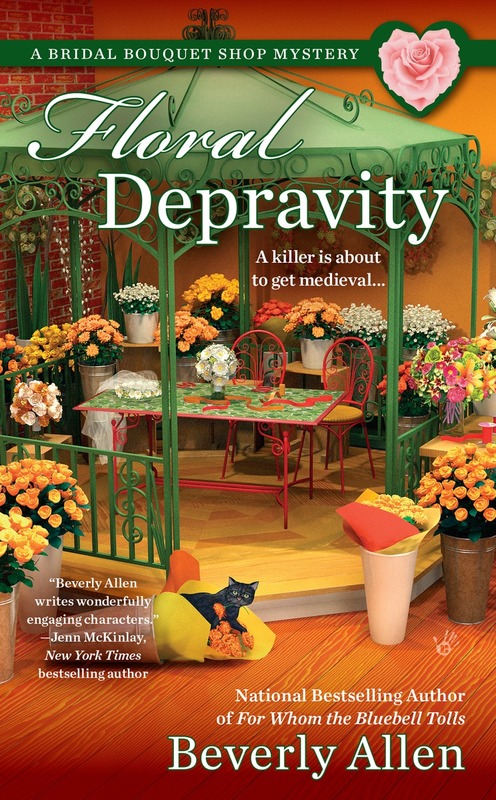 Floral Depravity Great Escapes Book Tour! 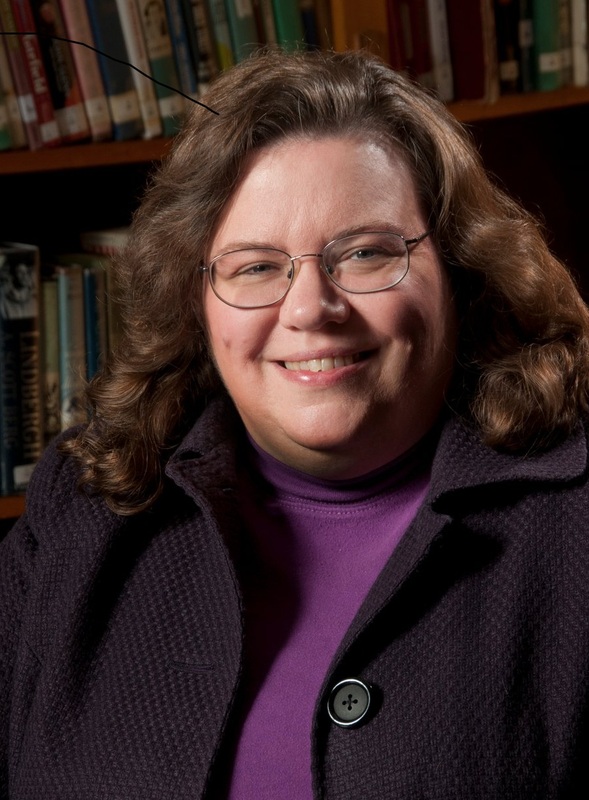 Kathleen Randolph, the owner of the Ashbury Inn, is helping her daughter, Andrea, plan a very unique wedding. They are getting married during a medieval festival held somewhere way out in the woods. Not only does Audrey have to create the perfect bouquet but she needs to deliver it and all the other flowers to the site. She also has been ordered by Kathleen to stay for the wedding. This means an overnight camp-out in the woods with very little comfort. Those organizing and attending have very strict rules about what can be brought into the camp. No modern conveniences, things have to be as close as possible to the way they back in medieval times. That also includes the clothing worn, so Audrey has to find a costume. There were a few bumps along the way but Audrey arrives and the ceremony takes place but then tragedy strikes when the bride takes a tumble and the father of the groom tumbles as well. Andrea is helped up and she is fine but the groom’s father, Barry Brooks, is not so lucky. Audrey was hoping her bit of nursing knowledge could help him until the ambulance arrived but the man is soon pronounced dead. The sheriff puts Kane Bixby, police chief of Ramble, in charge of the case and shocks Bixby by deputizing Audrey. Then the real fun…I mean investigation, begins. So much happens in this story and there are a lot of characters to keep track of but Beverly Allen twines it all together like a beautiful bouquet. The pace is pretty quick as all the players seem to travel between the campsite and town. Audrey and Bixby go back and forth and forth and back several times as they try to dig up clues to catch the killer and eliminate suspects. There are also some interesting subplots too including one with Audrey, baker Nick and her ex-Brad who just happens to be at the festival too, one with Audrey and the Friar, and Liv’s baby due at any time. I have enjoyed all three books in this series but this one is my favorite so far. Allen really kicked things up a notch. I do suggest reading this books in order to fully get to know and appreciate these sensational characters and the town of Ramble, Virginia. The author is giving 1 copy away! The publisher is giving 1 copy away! Yes, that is 3 COPIES!!! Leave a comment for Beverly for 5 Bonus Entries. Check out the other tour stops too! I’d like to read this book based on the reviews I’ve read. I’ve added it to my wish list. servedogmom@yahoo.com. OOh local historian I can’t resist that..my background is historical museums. I would love to read this. Thank you for the contest. I love this series and look forward each time learning more meanings to the flowers. Thanks for the chance to win. Thank you for the review of Floral Depravity. The book sounds like a wonderful mystery to keep me guessing. I have it on my TBR list. Thank you for the giveaway. This sounds like a great fun series! I have enjoyed this series and look forward to reading this one. Thanks for this lovely giveaway. This series is unique and special. A new author for me!! This book sounds wonderful. I’ve loved the covers of all of these books and can’t wait to read this one. Excited to see your great review! Thanks for the chance to win! I love the colors on the cover. Thanks for the review and giveaway. New author for me. The cover is amazing. The story line will be amazing too. A wedding out in the woods with no modern conveniences? No, thanks. Not for me! Thanks so much for hosting and for the great review! The cover is so beautiful and inviting. The story sounds great, too. I have really enjoyed this series thus far. Looking forward to the next installment! I loved the first two in this series and loved them, it looks like I’ll be loving this one too. Thanks for the chance to win. Thank you, as always, for the giveaway! I love this series and it sounds like this one will be no different! What an interesting book! I love the cover and have added this book to my wishlist. Thanks for the great giveaway. This sounds like an interesting series, and even a way to learn new things. I have wanted to start reading this series and have not yet. Now I see that you continue to learn about flowers and their meanings – how fascinating! Congrats on #3 release, and hope that you have many more in the series…and that I will find a way to start reading in another series! Thank you for so many chances to win! Looks like a fantastic book. Looking forward to reading it. The best murders, like flowers, should be artfully arranged.